/ Can Debt Consolidation Be a Good Thing? 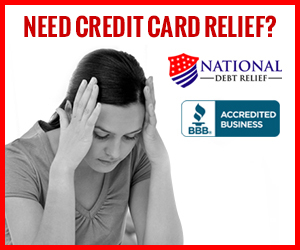 Is Debt Consolidation the Answer To Your Debt Problems? Hey guys, I know what it’s like to have a heavy debt load. The feeling of constant dread and the feeling of never crawling out of it. The part I hated most was the fact that I could not save any money because all my extra cash went towards my debt. I also didn’t know how the minimum payment is a scam designed to keep you in debt consistently. So I always paid the minimum and never seemed to make any progress! It was maddening! If you know how this feels then you probably have considered debt consolidation but wonder if it can really help, I well help you decide if it’s a good program or whether or not to run from it. Reduce the interest charges and rates on that debt, this effectively saves you money. Stops the very annoying collection calls, this makes you not scared when your phone rings. (I hated having accounts in collections, every time my phone rang my heart spiked). #1 being the fact that it doesn’t solve any problems! It just makes the debt you have more manageable so climbing out can be much easier but you must change your habits which got you there in the first place. I’ve seen it too many times where people consolidate their debt to have some relief but then start charging up credit cards all over again. You didn’t get into this mess overnight and you can’t get out by sweeping it under your bed. To truly become debt free you must break the bad habits that got you into this mess. I’m going to be honest with you – it’s tough! That’s why so many are in debt, it’s easy to acquire but hard to get free of. I have a lot of good resources for you in this blog, make sure you look at them and read my posts to start learning how to be financially strong! If you are willing to work on your habits then I think debt consolidation is a good idea, but if you just want to relieve the pain with no intention on solving the underlying issues then I think it’s very dangerous – though admittedly it will work for you..just temporarily! As with anything else you can have an awesome company and really goes to bat for you to get the best possible return; or you can have a shady company who takes your money and does almost nothing for you – or worse does something that actually hurts you! The point is to do your research and pick a company very carefully. There is no rush when researching, definitely look at google reviews as well as other social media sources. I will also send my recommendation but don’t just use them because I like them,make sure to research them for yourself! Just because you have a lot of debt doesn’t necessarily mean it will work for you. Debt consolidation doesn’t work for all debts. Generally speaking only similar types of debts can be consolidated. If you were looking to consolidate student loans with the unsecured debts you’re gonna have a bad time. Usually only other student loans will be consolidated together. Do some looking, call some companies and see if it will work for your situation, everyone’s needs are different! Debt consolidation might not be my favorite program, but it definitely makes it easier to manage debt – when followed with good intentions! Make sure to share this to people you know, there’s a lot of misinformation out there and cruddy companies!